Moza is first mentioned in the Bible as one of the cities of the tribe of Benjamin ( Jos. 18:26 ). The identification of the site is important for establishing the location of the border between the territories of Judah and Benjamin in this area. One of the sons of Caleb is called Moza ( 1 Chr. 2:46 ); the name also appears in the genealogy of Zimri, one of the heads of the tribe of Benjamin ( 1 Chr. 8:36–37 ; 9:42). The meaning of the name is “water source.” Based on the similarity with the name of the Arab village Khirbet Mizza, the biblical settlement has been identified by a number of scholars with Moza; others have equated it with Khirbet Beit Mizza, located at Mevasseret Zion, a short distance to the north. 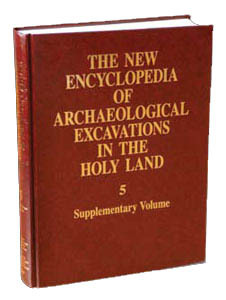 The results of the latest excavations at the site, however, conclusively confirm the identification of the biblical site with Moza.